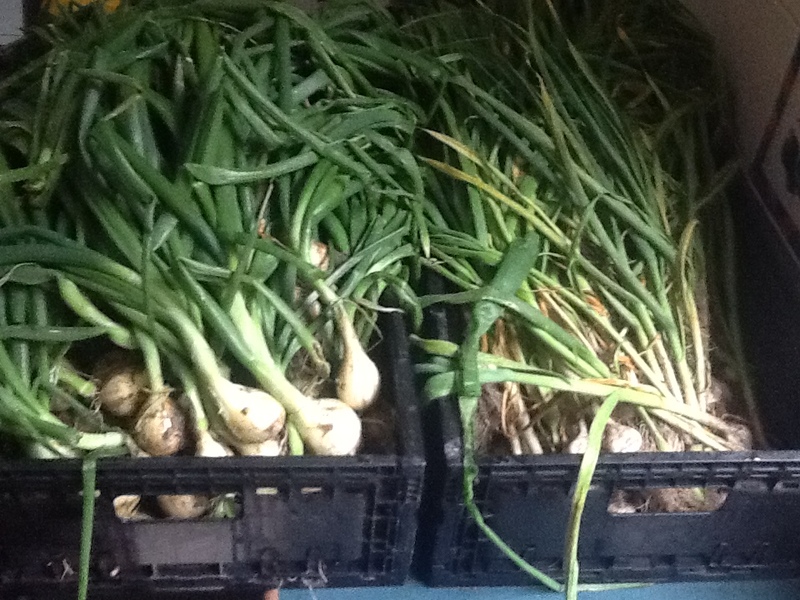 As Garlic is one of the favorite ingredients of Italian cooking I try to plant enough to see me through the year. This year, being new in New Zealand and my soil not 100% yet, I have harvested 180 bulbs only, which should hopefully last me about seven to eight months. 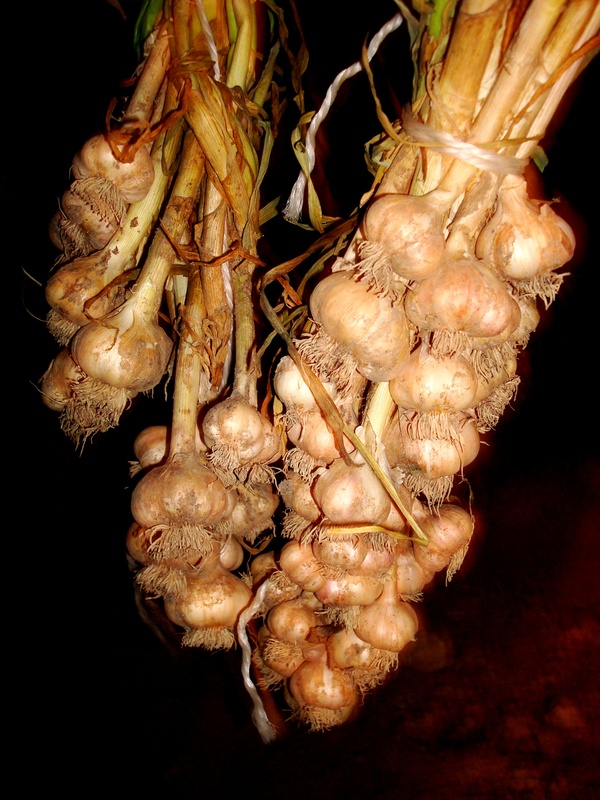 After harvesting the garlic, leave it in a cool dry place (never in the sun) for a couple of days until the outside skin and loose soil is well dry. Now remove the excess soil carefully by hand and cut the roots without damaging the bulbs. Take a piece of soft rope and plait the garlic leaves and rope, adding more garlic as you go. Try to have the bulbs such that they have enough fresh air ventilation all the time. When your string is long enough tie the rope around the last leaves, make a loop and hang it in a dark, cool and dry place.